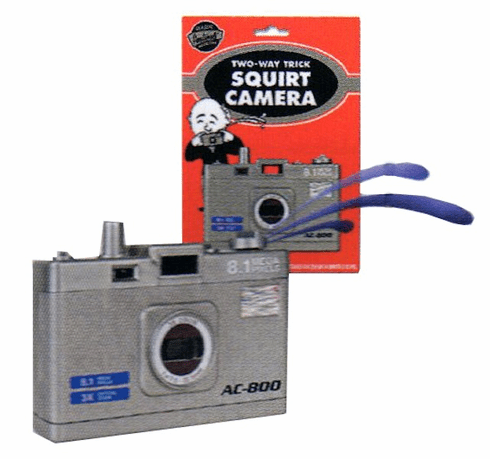 Press the shutter button to squirt! Turn the nozzle or squirt backwards! Plastic. 3.25" x 2.5"